National pest management fraternity Pi Chi Omega has revealed its new, user-friendly website. 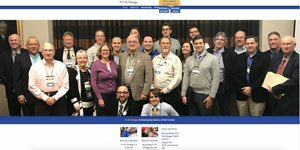 PiChiOmega.org is now using Membee, an association management system (AMS) that uses a website interface to provide user-friendly benefits to fraternity members. Members will be able to update their member information and have it instantly updated on the membership directory and other relevant areas. Dues invoicing is streamlined and easy, with an option to even have membership auto-renewed each year. Members will also be able to register, pay for and be reminded of events quickly and easily.